If America could be defined by what it likes on social media, you might as well call us the United States of Pizza-Eating and TV-Watching. At least, that’s according to research the University of Vermont recently published in the journal PLOS One. Here’s how the Lexicocalorimeter works: Every time one of the thousands of identified foods or activities popped up in a tweet, it’d be assigned an associated caloric value. For instance, if you tweeted, “Capped off a training run with a steak dinner,” the Lexicocalorimeter would tag run with the average number of calories burned for an hour-long workout, and steak with the number of calories associated with a single serving. Clearly, it’s not an exact science, but getting exact, individual numbers wasn’t the point. Identifying state-based trends and providing a broader, health-related correlation, was. “We’re interested in large-scale problems where there’s something really important about humanity that’s hard to measure,” Danforth says. “Quantifying how well we’re functioning as a society is a multi-dimensional process. A lot of the data traditionally is based on economics, diseases, emergency-room visits, and healthcare costs. 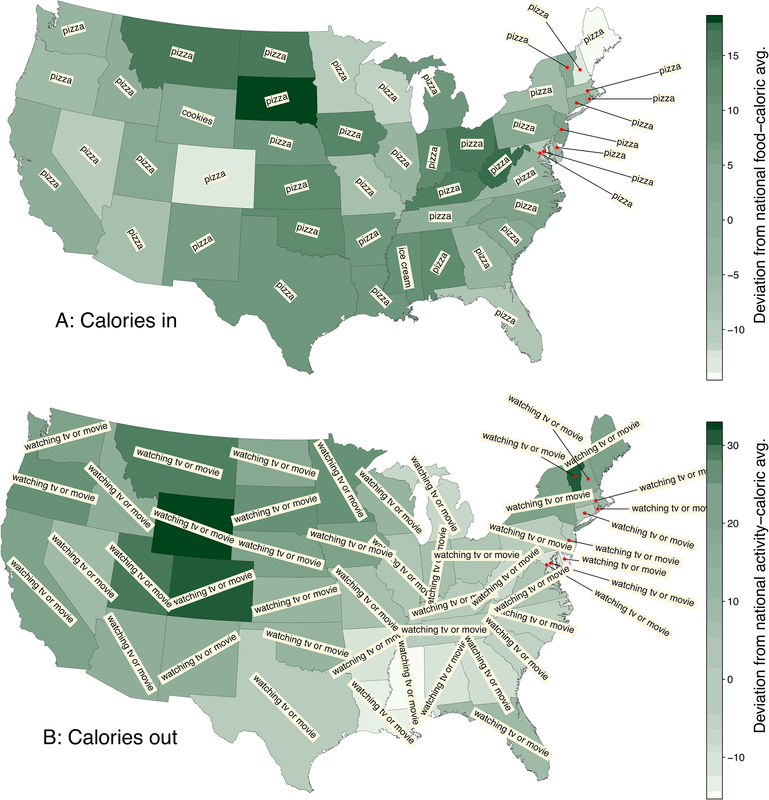 It takes time and money to compile these stats.” But using the Lexicocalorimeter, Danforth and Dodds were able to show a strong correlation between geographical location, how people tweet, and common diseases or risk-factors, such as diabetes and obesity.